Leicester – Patricia A. 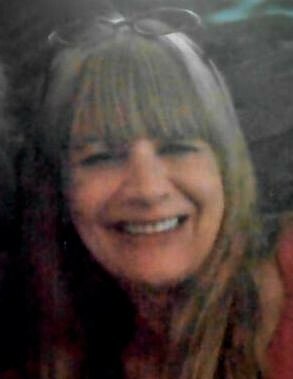 “Pat” Lippe, 67, passed away peacefully in her sleep on Saturday November 17, 2018 in Leicester after a battle with cancer. Pat was born and raised in Worcester, daughter of Elaine Steiger and Cecil Madore; She lived in Worcester a majority of her life. Pat attended David Prouty High School and received her High School diploma. While raising four children Pat pursued a career as a CNA; She worked many years at the Providence House until a back injury forced her to retire. Pat was dedicated to helping people especially to the patients she cared for in the mental health field, they were always in good hands with Pat. Aside from spending time with family and playing cards, Pat had a passion for art and reading; She had true artistic talent, even her arthritis could not stop her from using her talent to artfully decorate her home from top to bottom for every holiday. Even near the end, Pat maintained her tremendous sense of humor; She was always the life of the party her sister Sandy’s cookouts. After years of nursing and raising four kids, Pat developed into a resilient and loving woman; If you ever had a problem, no matter how big or small, she was the one you could talk to and get advice; She was the “Rock” of our family and she will be deeply missed. First and foremost, Pat is survived by her cat Shilo, followed by her four children who she loved dearly: Wendy Lippe, Richard Lippe and his wife Giselle, Christopher Lippe, and John Patnode and his wife Peggy; Her beloved grandchildren: Devin Jordan and his wife Chelsea Jordan, Riley Mokrzycki, Felicia Flood, Christopher Anyon, Shawnia Mafiola, Zackary Patnode, and Ashley Patnode; as well as many nieces, and nephews, relatives, and friends. A Memorial Mass will be held at the Immaculate Conception Church, 353 Grove Street Worcester, MA 01605 on Saturday December 1, 2018 from 10:00 – 11:00 am, all are welcome to attend.